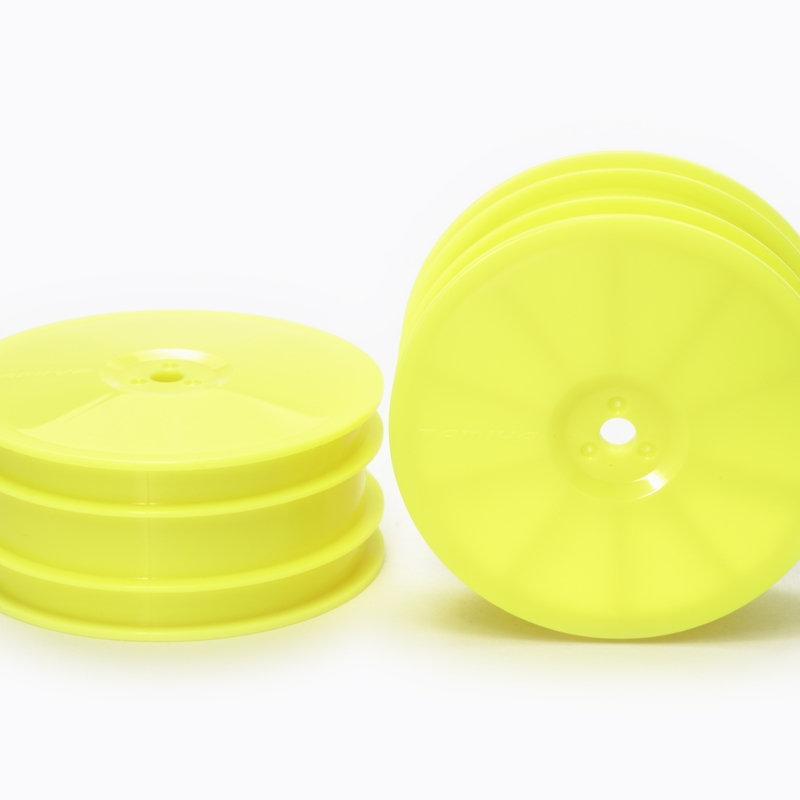 This wheel set is a yellow color variation of Item 51580 (which are white). 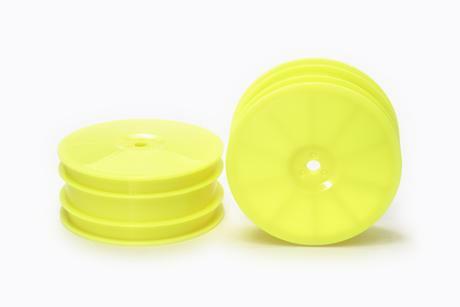 The tough ABS plastic wheels are great for use on high-grip surfaces such as carpet and asphalt. •	Features hex hub attachment. •	Compatible with DB01, DB02, TRF503 and TRF502X chassis cars. Non-DB01RRR chassis require separately-sold hex hubs.